eminism.org - "Pop Quiz on Transracial & International Adoption"
Why do we have constant over-representation of children of color in the adoption market compared to white children? Why do we have constant over-representation of white potential adoptive families in the adoption market compared to families of color? Why was there a surge of international adoption from Korea in the 50s, and from Vietnam and Cambodia in the 70s? Why were there so many orphans in these countries? What is the relationship between the decline of welfare benefits and social services to poor families, the expansion of the War on Drugs and the Prison Industrial Complex, the increase of upper-middle-class welfare (disguised as "tax credits") given to adoptive families, and the increase of transracial adoptions? Among the children involuntarily removed from families of color, are the majority of them abused? Or, are they "neglected," which could mean that parents could not provide enough food, medical care, or personal attention due to poverty, homelessness, "workfare" requirements, or other social and economic constraints? For which group of foreign-born individuals has the Department of Homeland Security relaxed immigration laws to the point that it grants U.S. citizenship at the moment of entry into the United States? How did that happen when all other immigrants are being stripped of their rights in the aftermath of 9/11? How often do Child Welfare offices intervene to stop the particular form of child abuse known as "parental racism toward their adopted child"? What messages do "children's books" specifically designed "for" transracially adopted children deliver, especially about her or his birth family? Which group of children are cheaper than others to adopt? Which ones are given away for free? How much does it cost to adopt and to raise a child? If that money were given to the birth parents of these children or to their communities, would it still be necessary for them to give up their child? Was there a time in the U.S. history when the white government did not promote breaking down of families and communities of color, through Slavery, forced schooling, internment, incarceration, etc.? NOTE: we do not endorse this site. 3) Why was there a surge of international adoption from Korea in the 50s, and from Vietnam and Cambodia in the 70s? Why were there so many orphans in these places? The obvious answer, of course, is the American Wars and occupations, but the extent to which they impacted the landscape of international adoption may not be as obvious. 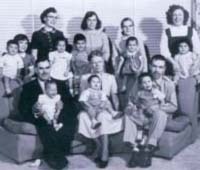 The whole concept of international adoption was pioneered by Harry and Bertha Holt, the Christian fundamentalists in rural Oregon who supposedly felt sorry for the poverty and malnutrition Korean orphans were in after the Korean War but not sorry enough to have done anything to stop the American troops from killing Korean adults. After successfully lobbying the Congress to adopt eight Korean children, they founded Holt International, the oldest and largest international adoption agency. The surge of Vietnamese and Cambodian adoptions in the 70s of course is the result of the U.S. invasion of the region. As the U.S. military evacuated Saigon in the Spring of 1975, President Gerald Ford approved the Operation Babylift, the plan to transport thousands of Vietnamese children to adoptive parents in the West, hundreds of them at a time, before the U.S. was forced out of the country. Some planes went down, killing hundreds of children, but the arilift continued on: Holt International even chartered Boeing 747 to ship over 400 children at most. In the panic before the impending collapse of the Saigon government, many of children were shipped without their birth and family documents, and some are said to be taken away against the wish of their Vietnamese parents. 4) What is the relationship between the decline of welfare benefits and social services to poor families, the expansion of the War on Drugs and the Prison Industrial Complex, the increase of upper-middle-class welfare (disguised as "tax credits") given to adoptive families, and the increase of transracial adoptions? Sure, federal law requires states to make "reasonable efforts" to keep at-risk children in their homes. But the federal government has vastly underfunded intensive "prevention," "family preservation," and "reunification" efforts since they were mandated in 1980. Last year the U.S. Department of Health and Human Services spent under $300 million for Child Welfare Services "directed toward the goal of keeping families together." But it provided an open-ended entitlement to matching funds for foster care, which amounted to about $5 billion. States also received cash bonuses for each child adopted. There is no such incentive to keep kids out of foster care, which is rife with its own well-documented mental and physical health risks. 5) Among the children involuntarily removed from families of color, are the majority of them abused? Or, are they "neglected," which could mean that parents could not provide enough food, medical care, or personal attention due to poverty, homelessness, "workfare" requirements, or other social and economic constraints on the parents? ...The National Association of Counsel for Children generally defines neglect as "a failure of caretakers to provide for a child's fundamental needs." Although emotional needs fit this description, child protective policy "typically concerns adequate food, housing, clothing, medical care and education." Few states make a distinction between parents who choose to neglect their children and parents who can't afford food, clothing, and shelter. Essentially, a state can take someone's child because they are too poor. Is it any wonder that nationwide, neglect accounts for a whopping 58.4 percent of verifiable maltreatment cases? 6) For which group of foreign-born individuals has the Department of Homeland Security relaxed immigration laws to the point that it grants U.S. citizenship at the moment of entry into the United States? How did that happen when all other immigrants are being stripped of their rights in the aftermath of 9/11? Child Citizenship Act of 2000 changed the immigration law to grant the U.S. citizenship to children adopted from overseas by American parents automatically when they enter into the U.S. Some portion of this law did not go into effect until last year due to bureaucratic reasons (other portions did go into effect in February 2001). As far as I know this is the only class of foreign-born individuals (aside from children of U.S. citizens who are overseas) who receive citizenship automatically simply by entering into the U.S. The change was prompted by the wealthy pro-adoption lobby, and spearheaded by Rep. Lamar Smith, a Republican from Texas who routinely votes against gays' right to be considered as potential adoptive parents, as well as against immigration rights and welfare and social service spending. In the Senate, the bill was sponsored by Sen. Don Nickles, another conservative Republican from Oklahoma. Unfortunately, no other group of foreign-born individuals have family members as well-funded and well-connected (with the exception of the Saudi royal family, it appears). 7) How often do Child Welfare offices intervene to stop the particular form of child abuse known as "parental racism toward their adopted child"? What messages do "children's books" specifically designed "for" transracially adopted children deliver, especially about her or his birth family? The protagonist has ABC characteristic while the rest of hir family has XYZ. Not feeling the sense of belonging, the protagonist travels to find hir own kind. After a journey, s/he finally finds others who are just like hir, and tries to get back to living with them. However, being raised in XYZ household, the protagonist is unable to fit in or function properly within the ABC community. OR, the protagonist is rejected by the ABC community because s/he was raised so differently. The protagonist realizes that hir true family had always been the XYZ family, and goes back. The XYZ family warmly accepts hir back, telling hir that they love hir. And they lived happily ever after. We call this story "Animal Book Story," because ABC and XYZ are always represented as different types of animals. Sometimes, they have different marks on the body (e.g. stripes versus spots); other times, they are different species (e.g. birds and bats). But the basic story is the same: it teaches the child that it's no use trying to find her or his birth family or culture, because they won't fit in or be accepted and loved. I consider it brainwashing in the captivity--and it's promoted as a "reassuring" and "affirming" book for the child! Don't take my word for it: go to the bookstore and ask them to show a children's book you could give to a white couple who had just adopted a young child of color. 8 ) Which group of children are cheaper than others to adopt? Which ones are given away for free? Three factors are: race, health/disability, and age. More precisely, healthy white infants are the most expensive and everything else follows thereafter. http://www.abchurch.org/about/news3.php - NOTE: we do not endorse this site.